Tesco Superstore is situated within easy reach on Lancaster Way, approximately a 0.81 mile distance west of the centre of Bishop's Stortford, in Bishops Park (near to Bishop's Stortford College and Hillmead Primary School). The supermarket is a convenient addition to the districts of Farnham, Thorley, Much Hadham, Cradle End, Havers, Little Hadham, Bishops Park and Bishops Gate. Its working hours are from 6:00 am to midnight today (Thursday). 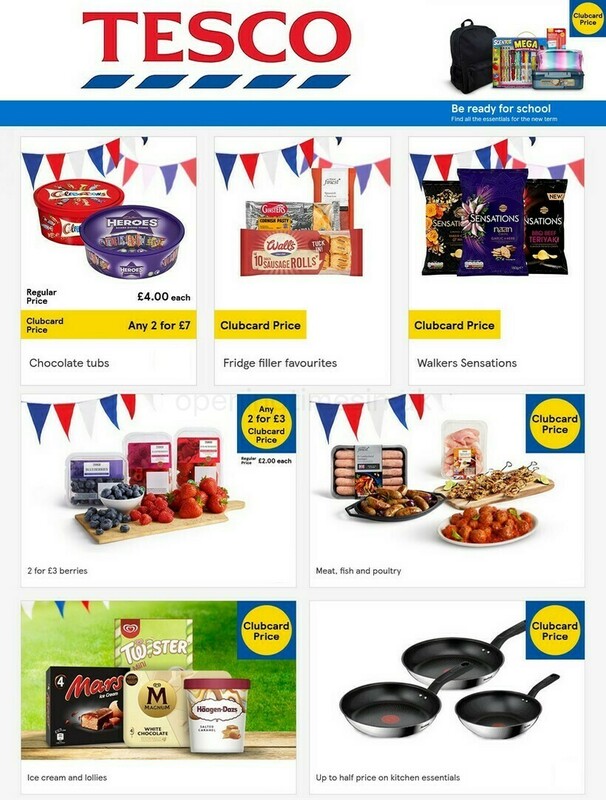 On this page, you will find information about TESCO Bishop's Stortford, Bishops Park, including the opening times, location details and direct telephone. Tesco Superstore is situated in an ideal position in the vicinity of the roundabout of Burghley Avenue and Lancaster Way, in Bishops Park, Bishop's Stortford. Conveniently situated a 1 minute drive time from Bishop's Stortford Bypass, Bishop's Park Way and Hadham Road; a 4 minute drive from Stansted Road, Rye Street and Great Hadham Road; or a 11 minute drive from Thremhall Avenue, Bishop's Stortford Bypass and Junction 8 (Birchanger Green) of M11. If you are planning your journey, enter CM23 4DD into your GPS. It's close to the bus stop at Tesco. Use lines: 20, 27, 28, 351 and 386. The train runs regularly to and from Bishops Stortford Station (1.55 mi away). The following line stops nearby: Greater Anglia. Within a couple miles you'll discover Hockerill Anglo-European College, Jackson Square Shopping Centre, Bishop's Stortford College, Sworder's Field, Hertfordshire & Essex High School and Science College and Grange Paddocks Leisure Centre. There is currently a total number of 3 TESCO stores operational in Bishop's Stortford, Hertfordshire. For more TESCO visit this following page for an entire list of all locations near Bishop's Stortford. During the UK holiday season, regular operating hours for TESCO in Bishop's Stortford, Bishops Park may be changed. In the year 2019 it pertains to Christmas, New Year's, Good Friday or Black Friday. We recommend that you go to the official website or phone the direct number at 0800 50 5555 to get verified info about TESCO Bishop's Stortford, Bishops Park seasonal store hours. Our team is working to supply you with the latest information as possible. If you find errors in the address info or opening hours for TESCO in Bishop's Stortford, Bishops Park, please let us know by using the report a problem form. Using the form provided below, you are invited to state your feedback on TESCO, and rate the location.